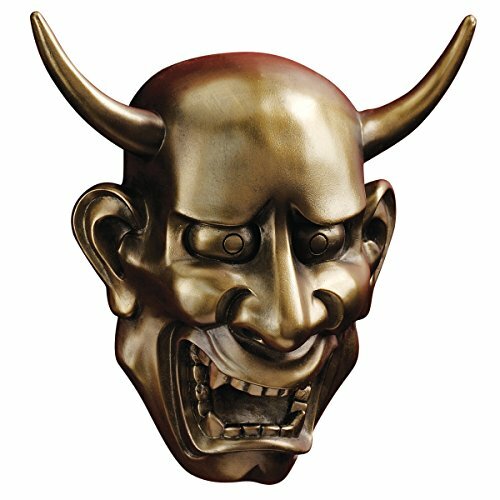 Hannya masks, used in Japanese Noh theatre as early as 1558, embody the jealous female demon with her pointy horns, penetrating eyes and menacing smile. Cast in quality designer resin, our Design Toscano exclusive scaled wall masks are hand-finished in faux bronze to capture each rich facial feature and rich emotion portrayed in the historic theatre of Japan. Noh Mask: 8½"Wx3"Dx8½"H. 2 lbs.